Welcome to Browning Jones & Morris Ltd website. 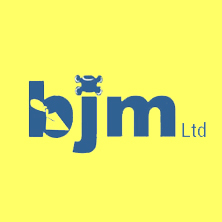 We are a long-established Builders and Plumbers Suppliers who have been trading since 1914, with sales and offices based in Cardiff and London. Family-owned and managed, we offer a great service of supplying a huge range of bath, shower and toilet cubicles, tools and materials to the public, local authorities and trade sectors. One of our many successful projects that we have been involved in includes the Wales Millennium Stadium in Cardiff. Knowledge combined with service and competitive prices will fulfil our ultimate objective: 'Customer Satisfaction'. We hope your visit to our site is enjoyable and easy to use and that you’re able find all the products and information you require. For any enquiries regarding our products, feel free to contact us on 029 2022 4551 or fill in our feedback form here.